The Snapdragon Plumblossom produces pink and white blooms atop its strong, spiky green foliage. 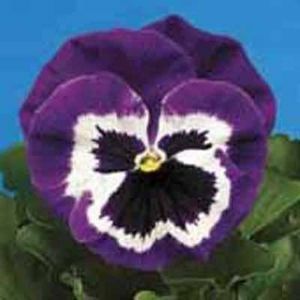 Its blooms are atop the foliage and bloom through early Spring, Summer and Fall. 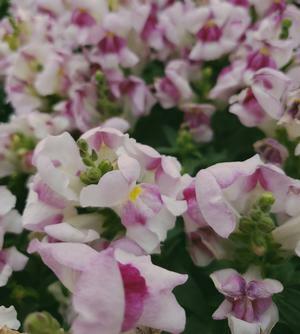 Snapdragon is desired most for its ever-blooming blossoms, heat tolerance, drought tolerance, and upright growth habit for landscape, beds, baskets and containers. This is a great annual for early Spring and Fall with blooms possibly slowing in extreme heat.